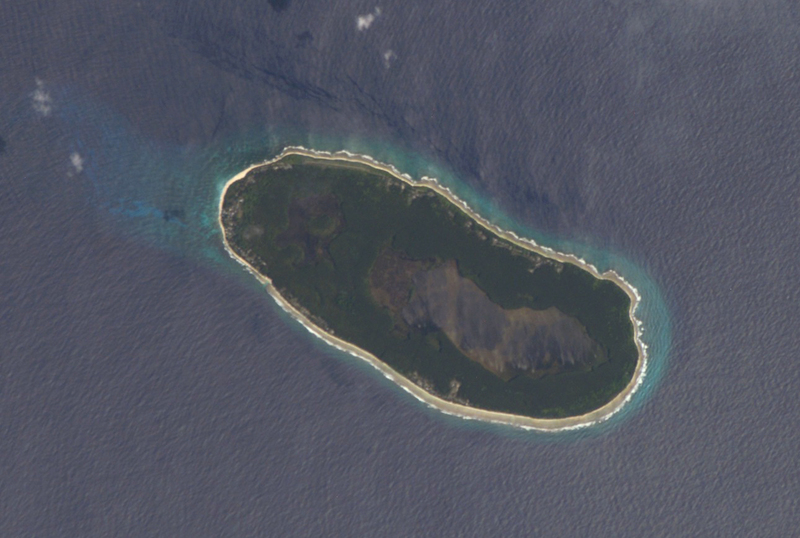 Teraina is an island in the Line Island group near the equator in the South Pacific Ocean. Prior to its 1979 integration into the Republic of Kiribati, Teraina was known to the world as Washington Island. Washington Island was discovered on June 12, 1798 by Captain Edmund Fanning aboard the ship Betsy. He discovered Washington just one day after spotting his namesake island, Fanning Island. Fanning named the island for George Washington, the first president of the United States. The 2005 census revealed the population to be 1155.1 Most sources say the area of the island is 14.2 km2 and its location to be 4° 41' N, 160° 22' W. What makes Teraina unusual is that it has a freshwater lake in the middle of it, caused by the island's annual precipitation of 300cm.2 On the north northwestern coast of the atoll is an airstrip, constructed to maintain the meteorological stations that may or may not still be on the island.